Silly Team Obama believes they can get Palestinians from wanting to kill Jews. 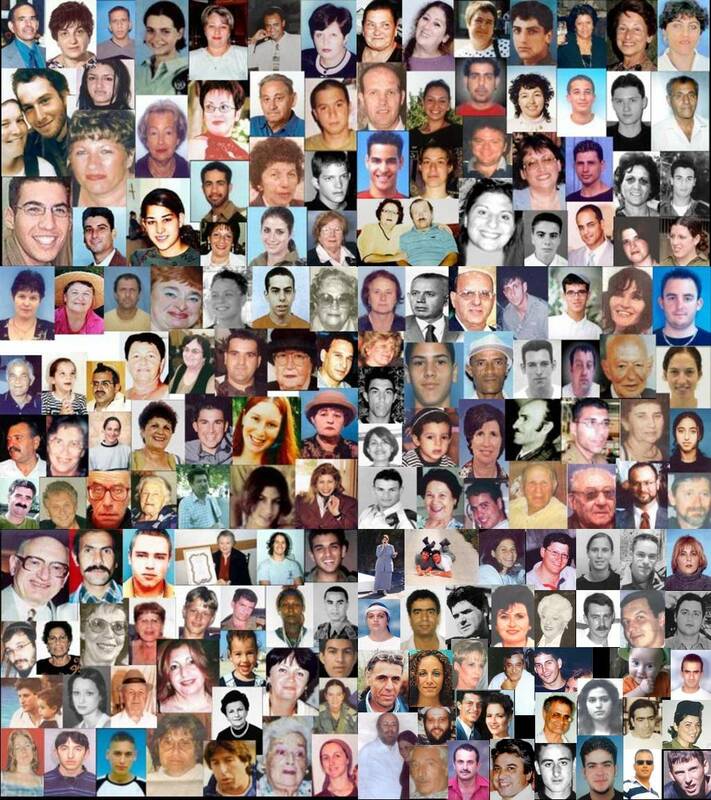 Faces of Israelis murdered by liberated Palestinian terrorists. The Obama administration also believes the Isreal-Palestinian conflict is behind the turmoil in the Mideast. Palestinian President Mahmoud Abbas laid out his vision on Monday for the final status of Israeli-Palestinian relations ahead of peace talks that have resumed in Washington for the first time in nearly three years. Abbas said that no Israeli settlers or border forces could remain in a future Palestinian state and that Palestinians deem illegal all Jewish settlement building within the land occupied in the 1967 Middle East war. The forceful statements appeared to challenge mediator US Secretary of State John Kerry’s hopes that the terms of the talks, scheduled to begin Monday night over dinner, be kept secret. “In a final resolution, we would not see the presence of a single Israeli – civilian or soldier – on our lands,” Abbas said in a briefing to mostly Egyptian journalists. “An international, multinational presence like in Sinai, Lebanon and Syria – we are with that,” he said, referring to United Nations peacekeeping operations in those places. Barry Rubin has more on the talks.